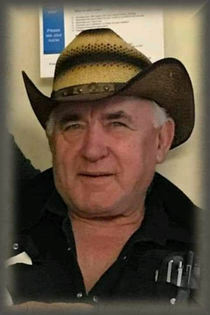 Obituary for Allan Roy Swanson | Westlock Funeral Home & Crematorium Ltd.
Al loved to travel which is likely why he spent many years looking at the scenery through the Nascar window He loved meeting new people and will be greatly missed by all who knew him. He is survived by his children Laurie (Rob), Brenda (Kevin), Tammy (Keith), Roy (Adrienne), 13 grandchildren, 9 great, grandchildren Siblings Brother Kenneth, Brother Elmer (Doreen), Sister Doreen (Bryan), Sister Betty (Brian). He was predeceased by parents Mack and Lena, sisters Leona and Marie, brothers Jerry and Gordon, and grandson Braydon. Celebration of life at Westlock Legion 10004 106 Street Tuesday December 11 2018 at 1:00 PM. Private interment to follow in the spring.